Two UBC researchers are conducting Canada’s first psychosocial space experiment to learn how astronauts adjust to life in the cosmos. “All the conditions necessary for murder are met if you shut two men in a cabin measuring 18 feet by 20 and leave them together for two months,” wrote Cosmonaut Valery Ryumin, following a mission onboard the Salyut 6 space station. 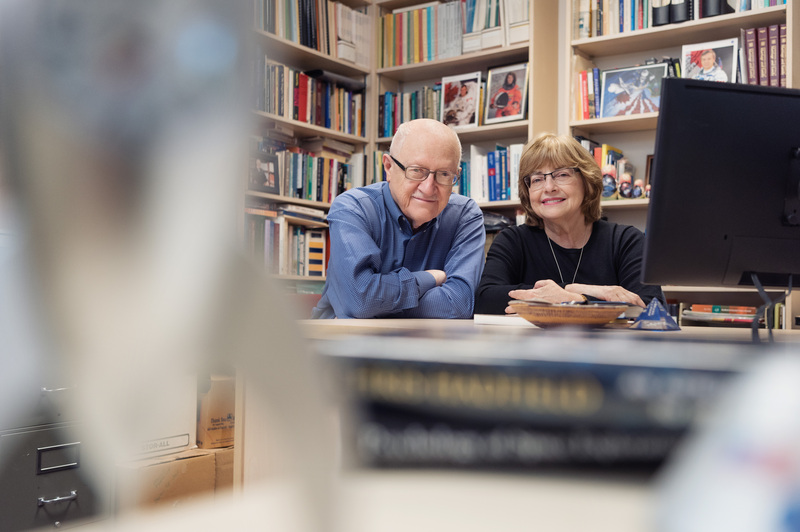 While there haven’t been any space murders, UBC sociologist Phyllis Johnson and psychologist Peter Suedfeld say it’s important to know more about the psychological effects of long-term space flight before we can hope to reach far-away destinations like Mars. Together, the husband-and-wife research team are conducting Canada’s first psychosocial experiment on board the International Space Station. They want to learn how astronauts can not only survive the high-pressure and isolating experience of long-term space flight, but thrive in it. Getting a clearer picture of how astronauts acclimatize to life in space—including the emotional, cultural and environmental adjustments they make—can help guide future missions. The researchers are also interested in how astronauts from a variety of cultures and nationalities create a unique “space culture” that transcends their cultural differences. Do they develop a set of shared cultural norms within the confines of an isolated spaceship? The participating astronauts will complete a set of questionnaires before, during and after their journeys to assess changes related to how they cope with stress, how they connect to life on Earth, and how they build relationships with each other. 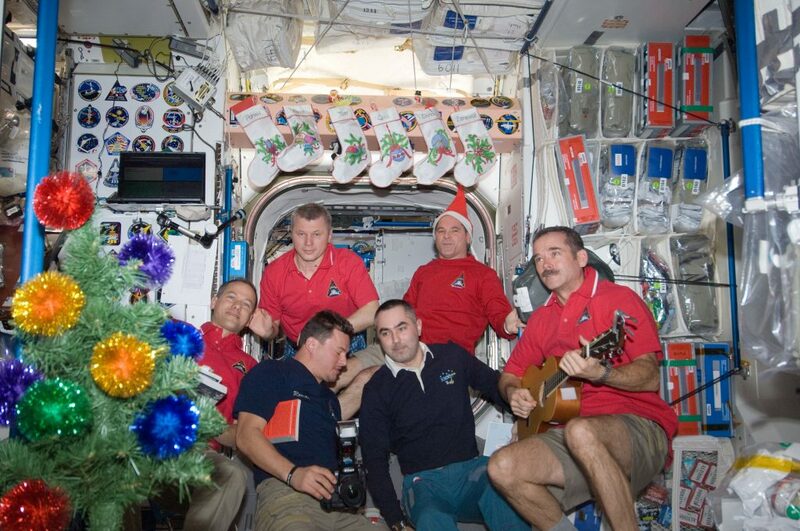 Johnson has also asked the astronauts to photograph their living quarters as well as any customs and celebrations on board the space station. She says there are many examples of space celebrations: crewmembers often mark 100 days in space with a small ceremony, enjoy celebratory meals after completing tough spacewalks, and celebrate Cosmonautics day on April 12. Does this kind of cultural camaraderie increase efficiency and psychological well-being? And if so, how could space culture be accommodated in future missions? Space travel might seem like an unusual research topic for a family sociologist like Johnson to venture into. But she says it fits into a larger body of research that looks at how families cope with long-term separation. Other sociologists in her field have studied military families, long-distance truck drivers, domestic workers, and families where one parent lives and works in a different part of the world—sometimes dubbed astronaut families. 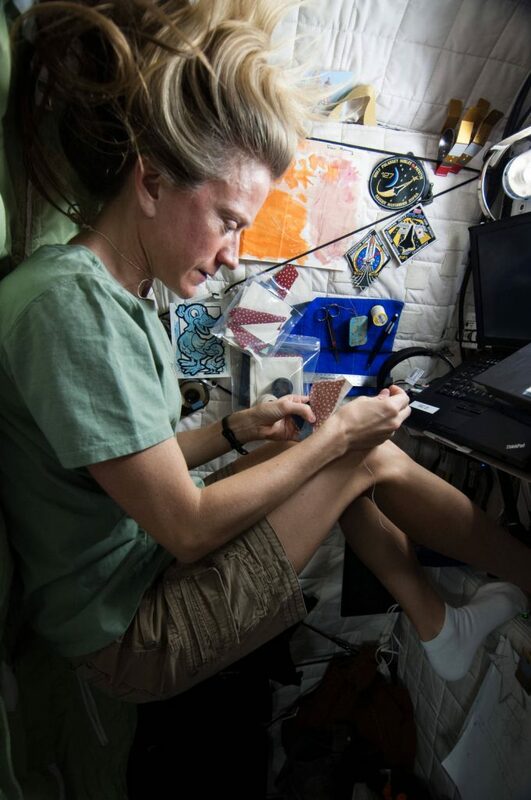 It seemed intriguing to Johnson to turn the lens on actual astronauts to study what they do to stay connected to their loved ones and how their families support them during long-duration missions. Meanwhile, Johnson’s husband and research partner— UBC psychologist Peter Suedfeld—brings his expertise on stress and human resilience to the project. A Holocaust survivor, Suedfeld became interested in how humans cope with stressful, novel, or traumatic experiences. After studying genocide survivors, polar explorers and prisoners in solitary confinement, Suedfeld turned his attention to space travellers. He says that when he first raised the issue of potential psychological problems during long-duration space flights, he was laughed at by a senior astronaut. At least one space mission has been cut short due to psychological problems and other missions have suffered from interpersonal clashes among the crew, says Suedfeld. To that end, Suedfeld has worked with NASA and the Canadian Space Agency to help determine optimum capsule design for habitability and psychological health. And together with Johnson, he completed a multi-year study of retired Russian cosmonauts, analyzing their motivational profiles, coping strategies and post-experience growth, as well as how their work impacted their family relationships. Their overarching goal is to identify the factors that increase astronauts’ psychological well-being, rather than simply treating adverse effects, something known in the field as salutogenesis. The researchers say that measuring post-experience growth will be an important part of this study, since space agencies and space psychologists have not paid as much attention to the beneficial long-term after-effects of spaceflight. To do this, they will assess the effects shortly after return and six months later. Suedfeld says the positive effects can include a heightened sense of purpose, comradeship, as well as a satisfaction in achieving something that few people have done. At Home in Space wraps up in 2020. The project’s findings could be used to improve bonding, morale and environmental design for communities on Earth living in remote, confined or isolated locations, including oil rig workers, crews on long-voyage cargo ships, researchers in remote locations and those on long military deployments. The researchers say the study could even have applications for elderly residents living in group housing who experience limits on living space, privacy, and control over their environment. What we learn from studies in polar and space environments helps to predict and anticipate what might happen under certain circumstances in these communities, says Suedfeld.